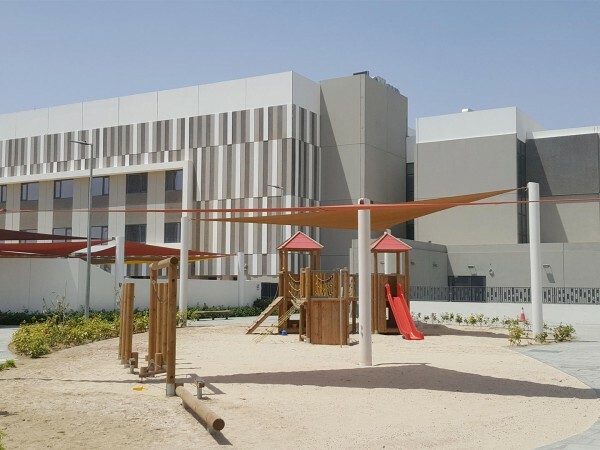 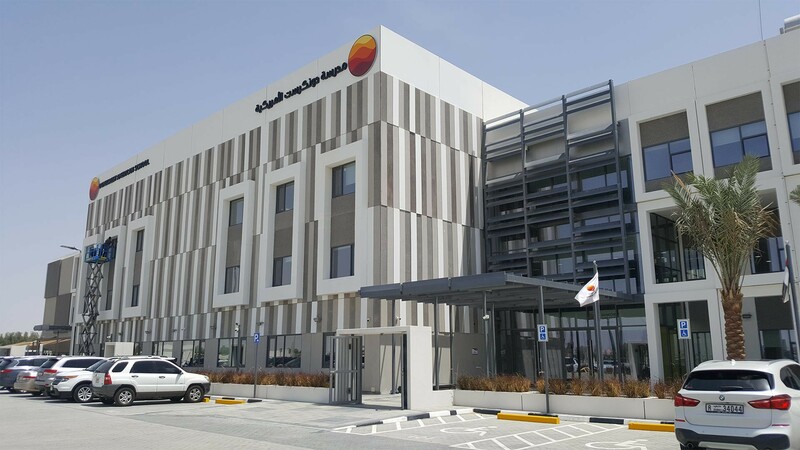 ESOL Education specializes in the establishment and management of high quality international schools in the Middle East and Mediterranean areas and have now proceeded to construct their latest American School project in Dubai Land. 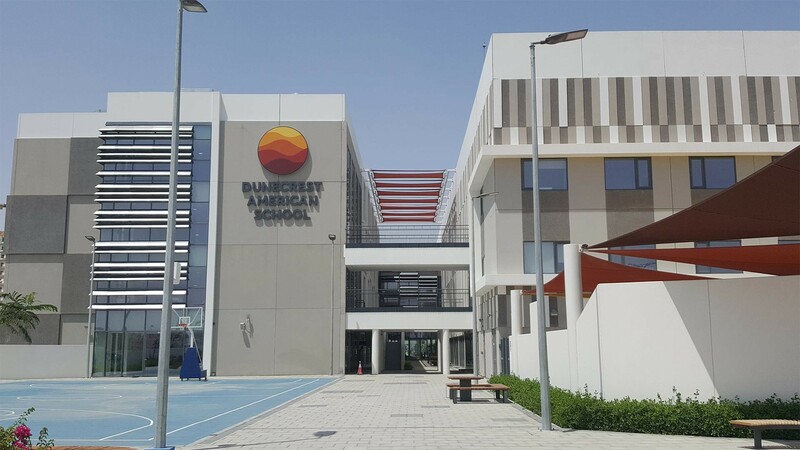 This is ESOL’s tenth school where AK Design have acted as the main architectural consultant under appointment by Dubox the main contractor who have deployed a precast modular system as part of a rapid delivery strategy for the development. 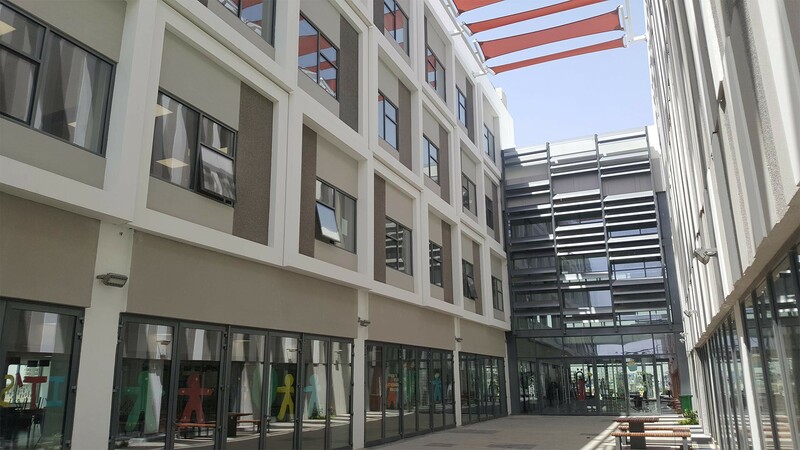 The plot area is 36,700m2 which has an allowable BUA of 26,150m2 which accommodates the school’s space programme for a projected steady state population of 1,600 students. 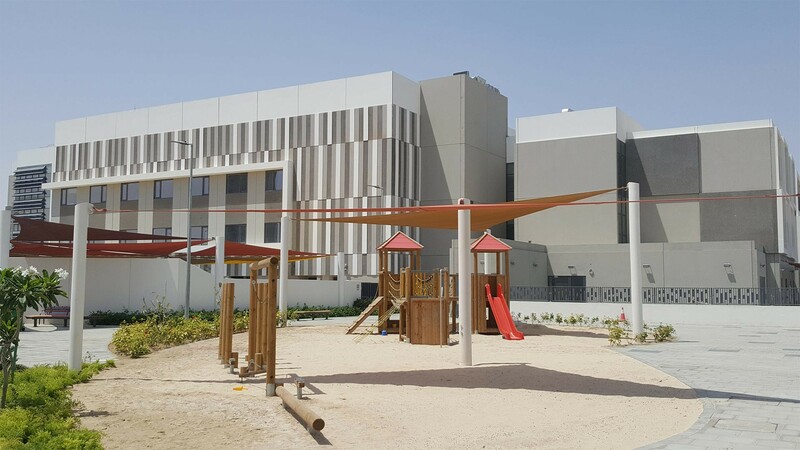 Our architects completed a functional design on the 36,700m2 plot that uses the land efficiently and which caters for the academic and physical education components of the facility. 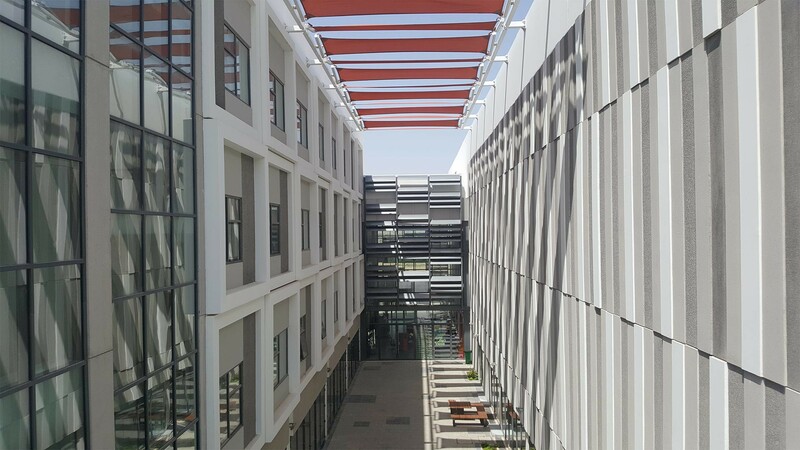 There was the added responsibility of solving constructability issues using the off site manufacturing approach in order to meet the end user deadline within an aggressive building programme. 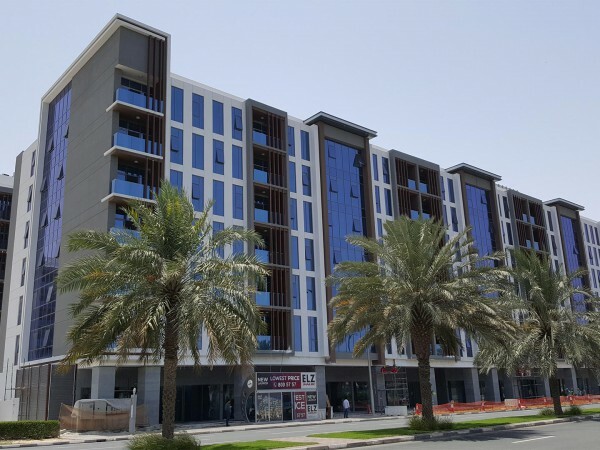 The project is to be completed in two planned construction phases. 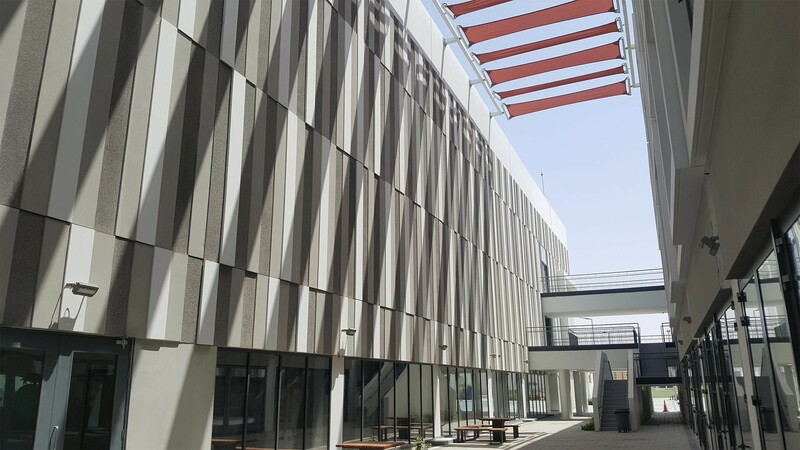 The first phase is to contain core operational, classroom and physical education facilities of circa 13,200m2 BUA while the second phase will house expanded instructional spaces inside an additional 10,400m2 BUA.